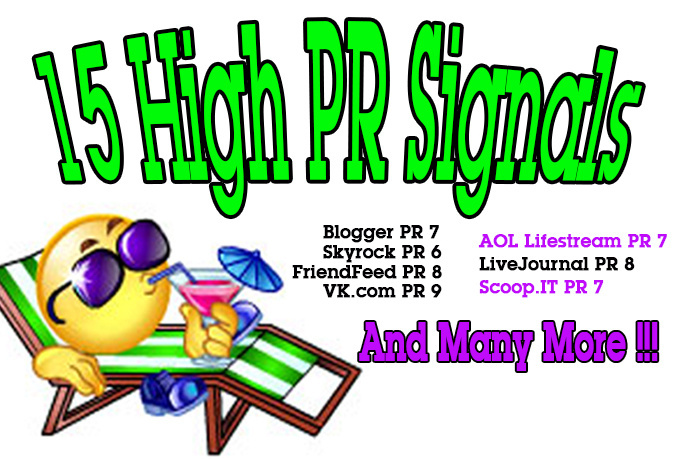 You Will get Links and Signals from High PR Authority Sites. 15 of the Very Best and Most Visited Sites on the Internet! Some will have your keywords as links, some will just be the full "naked" url. Some noFollow, some doFollow. Perfect natural Mix of links.